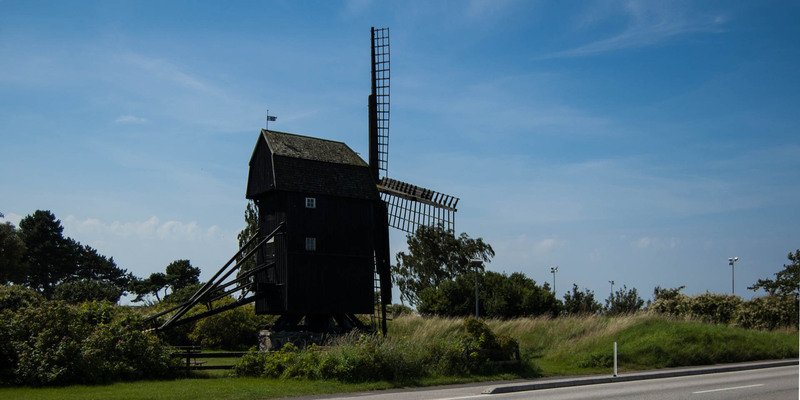 Skanörs Stubbamölla is located near the marina of Skanör and is one of the oldest surviving windmills in Skåne. It is a so-called post mill, that means that the entire mill is mounted on a vertical post. To operate, the whole mill body was turned into the wind. Skanörs Stubbamölla is two stories high and consists of local wood. The tail wood, the rod with which the mill is turned into the wind, consists of a tropical type of wood, probably a former mast of a wrecked ship off the reef of Skanör. According to ancient records there was already a windmill at this spot in the 16th century. According to the investigations of the oak beams of the mill, it was propably constructed in the turn of the 17th century. An old map of 1585 shows a mill at this spot. Even earlier, in 1505, the German Berndt Lütke from Lübeck mentioned a mill as border mark. An old legend says that the mill could be much older. One day, seaweed and snails were found in the attic of the mill and it was believed that the mill was sunk into the sea before. 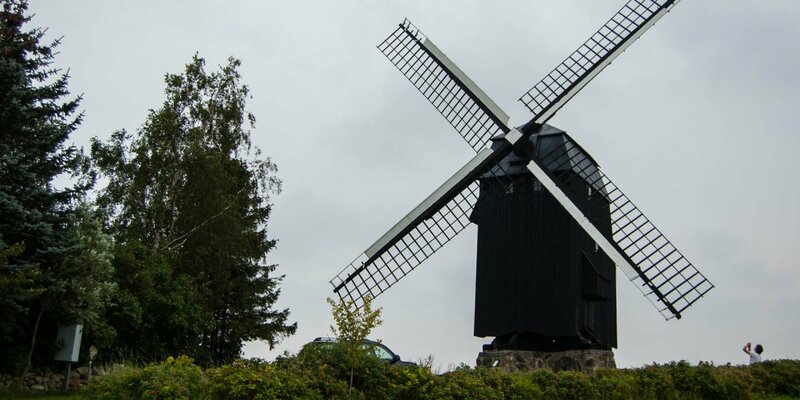 Until the 19th century there was a mill law in Sweden that prohibited the construction of new mills. The existing mills which deliver their revenue to the state were protected trough the law. 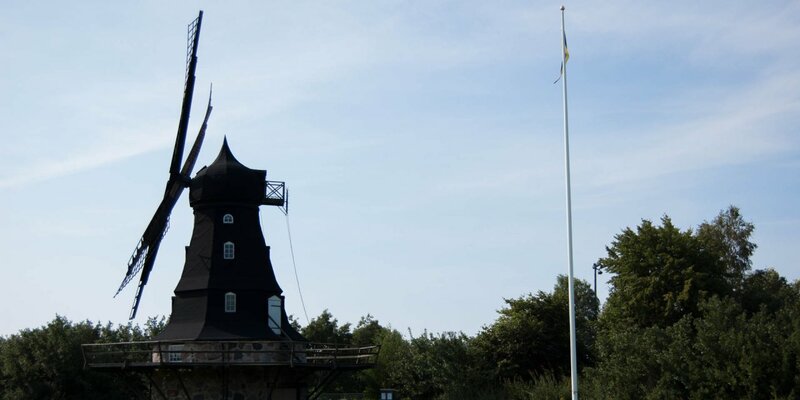 The mill of Skanör was a so-called tax-mill, which contributed to government revenues. It was decommissioned in 1922 and is owned by the municipality of Vellinge since 1973. 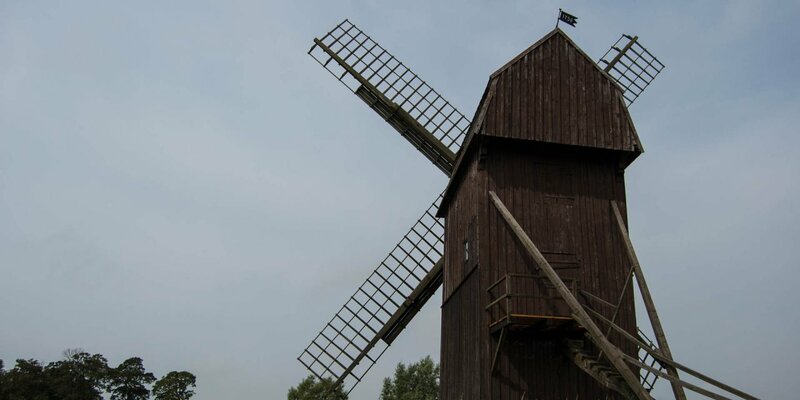 In the 1970s, the mill was restored, repainted and fitted with new wings made of larch wood.